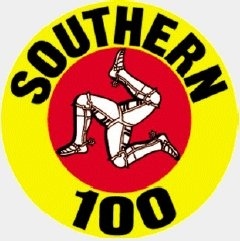 The Steam Packet Southern 100 International Road Races has always attracted the cream of the road race competitors since it was first run in 1955, some 60-years ago and this year is no exception. Over the years, many of the rising stars of the era, have cut their teeth around the 4.25-mile Billown Course and have gone on to become British and World Champions and once again 2015 will see some of today’s rising stars gracing us with their presence and all will be aiming for the top step on the podium, not overawed by the ‘elite’ that will also be challenging for the silverware on offer. Dean Harrison and James Cowton, enjoyed some epic battles at last years ‘friendly races’ and both are ready to renew their rivalry at ‘the friendly races’ as the event celebrates it 60th Anniversary. Add into the mix TT winner Ivan Lintin on the R & C Express machines, Jamie Coward now returned to full fitness and winning ways after missing most of last season. Manxman Dan Kneen was also in fine form 12 months ago and is hoping to do even better at the Diamond Jubilee meeting now he is on the Padgett’s Valvoline Honda’s - back at the Southern 100 after a break of 35 years! Younger brother Ryan will also be a force to be reckoned with as will Russ Mountford. Practice gets underway at 6.05pm on Monday 6th July, with further qualifying on Tuesday evening followed by the first two races of the 14 race programme for the 2015 meeting.